Unlike schools in other countries, Japanese school year starts from April and ends in March. There are said to be a few reasons for this, such as coordination with the Japanese fiscal year (which also starts from Apr. ), or due to a historical background as an agrarian country. Let us explain some of the events in Japanese elementary schools for those who are not familiar. All schools hold entrance ceremonies on the first day for new students and their parents. Usually the students attend this ceremony dressed up, carrying their brand new school bags on their shoulders. 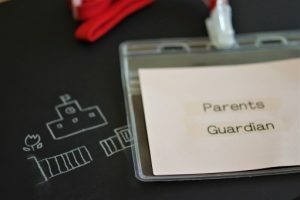 A while after the school year begins, there will be announcements for Parents’ day (a day for parents to visit and observe the classrooms) and the teacher’s home visit. Parent’s day is to give general ideas of how the classes are conducted, and home visits are for discussing on more details or personal concerns. This is one of the biggest events throughout the school year. 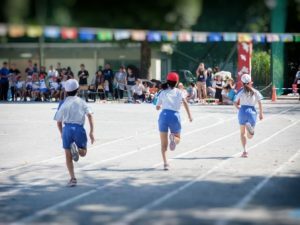 Every year in spring or autumn, students and their families all over Japan take part in Sports day. The whole school will be divided into multiple teams and students will have the opportunities to test their skills and compete with each other. Other than sports competitions, students will participate in dance performances and parades for their families to enjoy.